Now I don't know about you, but now that Christmas and New Year have come and gone, my brain is totally over the winter and cold weather that comes with it. Once January hits, I find myself scrolling through so many winter holiday deals to get that much needed sun! You can actually find some pretty amazing bargains for this time of year! The big question though, is where to go? Now obviously somewhere like mainland Spain isn't really going to be much different from the UK weather in terms of temperature. So it's important you do your research and find somewhere that's going to have lovely warm sunshine at this time of year. And that brings me onto this post! I've picked out four destinations that I think make the perfect winter getaway and can be super affordable. 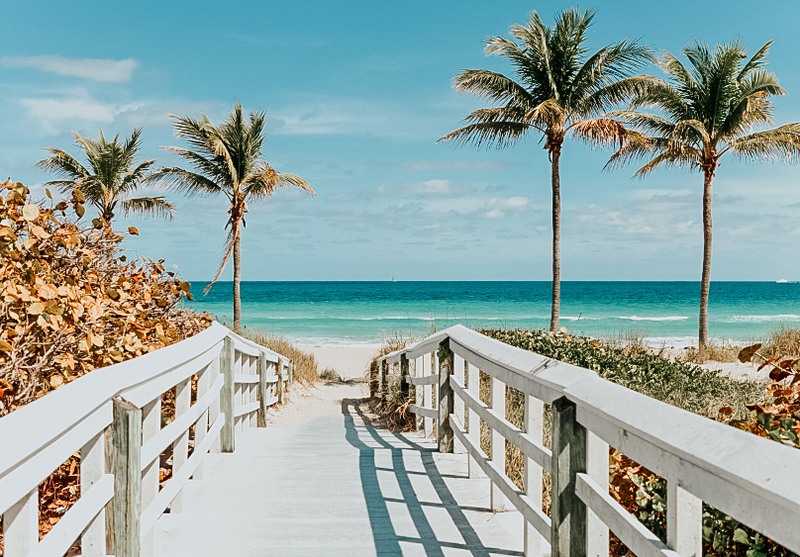 Normally when I'm looking for some winter sun deals, I'm not really looking to go long haul, but I have included a couple just in case that happens to be in your budget. My first pick had to be Tenerife didn't it, us brits love it! For these next couple of month's you'll find the beautiful Canary Island has a minimum temperature of around 15 degrees, but is common for it to reach temperatures of up to 24 degrees in the south! With plenty of beaches to choose from, you can totally chill out with a drink in hand, and enjoy those sunny rays. Should lounging in the sun lose it's appeal, there's a whole host of activities for everyone to enjoy. My personal favourite would be setting of on a Tenerife Boat Trip. 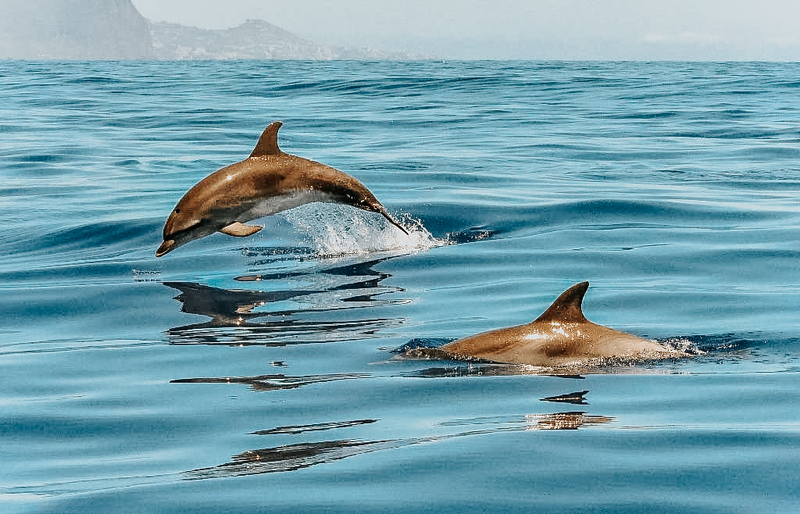 I'd recommend booking a trip through Tenerife Sailing Charters as they are highly reviewed and offer a whole range of luxury trips including Dolphin and Whale watching, as well as snorkelling with Turtles! This would definitely be something me and my family would love to do. Whilst you're on board, you're also provided with drinks and snacks too which I think is fantastic considering the price! Who wouldn't love a relaxing day out at sea, searching for Dolphins and drinking Cava? However, If you're looking for something a little bit more thrill seeking, you can book in to try out some watersports with them, such as Jet Skiing and Parascending! Somewhere that's just recently caught my eye is Cyprus! We actually almost booked a holiday to Cyprus last year! Cyprus usually has a very mild winter, which means at this time of year the temperatures can reach up to around 15-16 degrees. So if you're looking for somewhere a little bit cooler, Cyprus could be the one for you. This would be the kind of holiday I'd recommend for the history lovers, who may want a more laidback, and slow paced holiday. 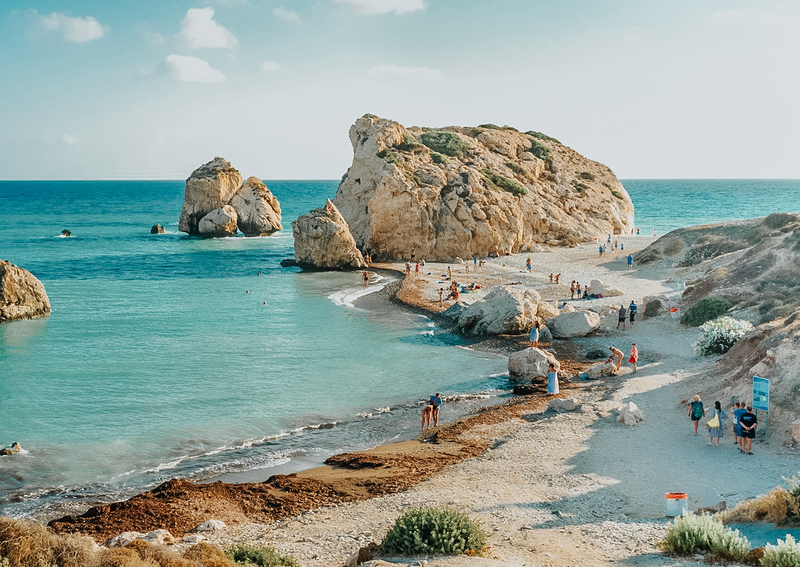 Not only does Cyprus have some of the most gorgeous beaches, and crystal blue oceans, but it also jam packed with historical sites and ruins for your to explore. One of the most popular tourist locations being Aphrodite's Rock - the birthplace of the Greek Goddess Aphrodite! If you don'y want to miss out on the water activities, don't worry as you can also go scuba diving to visit various shipwreck sites! And now for the long haul lovers! Mexico is actually another recent addition to my travel list. At this time of year, you can expect temperatures of around 17 degrees, but are very often higher than that! Being such a large place, you can imagine how much Mexico has to offer for tourists. It can actually be pretty difficult to pinpoint what it is exactly you want to cross of your list when you're there, so I'd really recommended doing your research and making a thought out plan before visiting. If you truly have your heart set on various activities, you could always do a road trip! 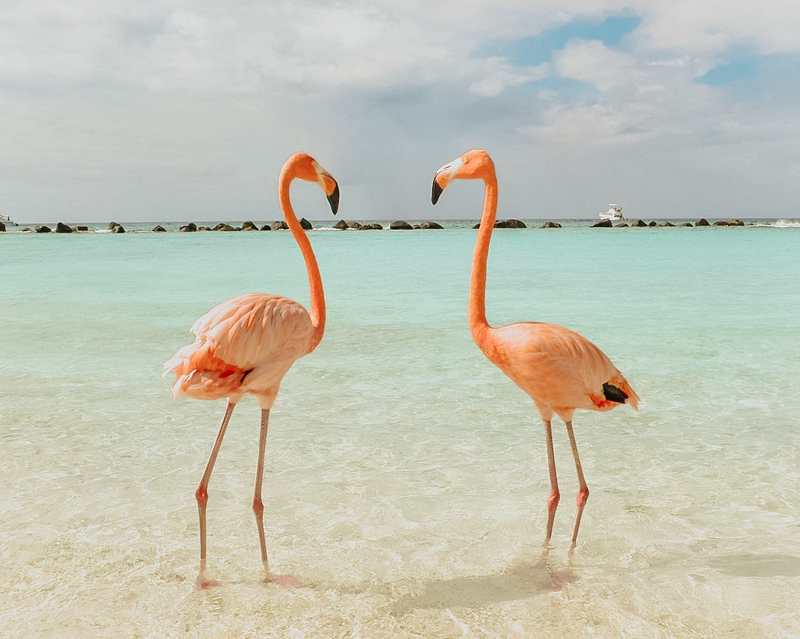 The thing that would definitely be top of my bucketlist, would be visiting the huge number of Flamingos that you can find in the coastal region of Yucatan. In Yucatan you'll also find the infamous Las Coloradas Pink Lakes so you can get that perfect Instagram pic! And last but not least, we have the ever so popular US state, Florida. The temperatures for this time of year often reach the 20's so you can expect lot of sunshine! So what is there to do in Florida?Honestly, the question should be what ISN'T there to do in Florida. I truly think you can't go wrong with a destination like this. It's has something for everyone, which is why it's such a popular family holiday destination. From beautiful beaches, camping parks and natural springs, if you're looking to relax and be one with nature, here you can do just that! Or if you're travelling with children there's the obvious choices such a Disneyworld and Universal Studios (let's be honest, we don't need children as an excuse to go). Buuut, you'll also find a whole host of entertaining shows, sporting events, zoos and theme parks dotted around! And there we have it! Writing this post has seriously made me want to book a holiday ASAP! If any of the above are places you've ever wanted to visit, I would highly suggest looking at off peak times and not in the summer months. Not only will you hopefully grab yourself a bargain and save some pennies, but you'll find a lot of the toursity areas are less crowded, meaning you can enjoy them a lot more! Which one of these destinations would you most like to visit? *This post is sponsored by Tenerife Sailing Charters. All words an opinions are my own. I'd love to go to Florida again (went when I was 12)! Really want to explore Mexico and Cyprus too! I visiting the Canary Islands in two weeks and honestly can't wait! I've never been on holiday at this time of the year but can see myself booking a trip to Mexico for next year! Indeed, they are one of the best destinations.